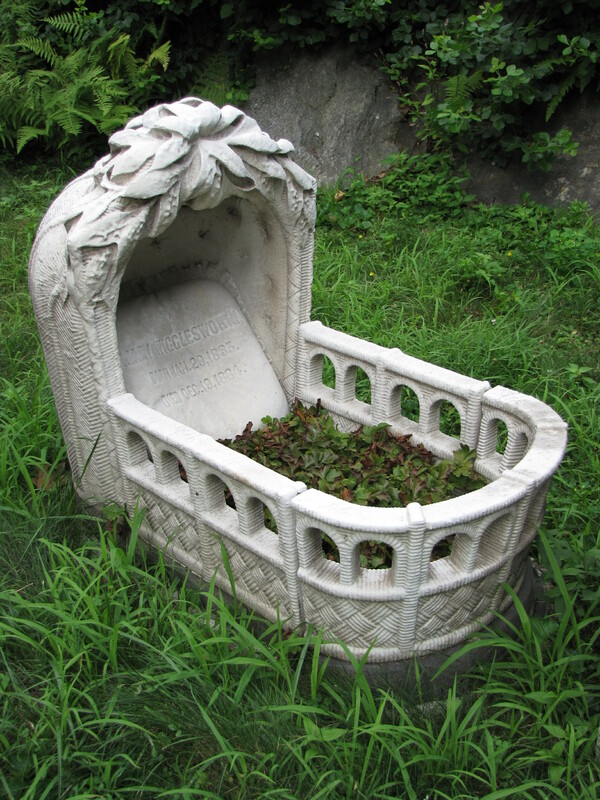 The intricately-carved white marble gravestone of Mary Wigglesworth, who died just shy of her first birthday, is an empty bassinet, her inscription on the pillow. The symbolism is obvious. The marker is clearly for a child but also represents the emptiness and sadness from the loss. This is actually in Watertown and not Cambridge.